Reports emerging from the UK have all but confirmed that a second-generation Toyota 86 is on the way. The future of the eight-year-old coupe has been under a cloud of late, with no apparent plans in the pipeline to replace it from Toyota’s end and a complete lack of visibility for a new model over at Subaru, who sells rebadged versions of the 86 as the BRZ. However, a report on the UK website Autocar has quoted a Toyota official as saying that a new 86 will sit alongside the incoming – and more expensive - Supra as Toyota looks to flesh out its sports car range. “They are for different audiences and they are different products,” the official told Autocar, adding that it’s a “safe assumption to make” that the tie-up between Subaru (who provides the 86/BRZ engine basics and suspension layout) and Toyota (who provides the engine’s top end components and ancillaries) will continue. Toyota owns a stake in Fuji Heavy Industries, the owners of Subaru. Toyota’s sports car focus over the last couple of years has been solely on the Supra, which is being built in Austria in partnership with BMW. As well, the company is ramping up its return to the sporty end of the passenger car segment, pushing its Gazoo Racing (or GR) message with supercharged versions of its baby Yaris hatch for overseas markets, and the mooted launch of a hot Corolla hatch. However, sightings of prototype 86 replacements have thus far been non-existent which, given the age of the current car, suggests that a replacement is still a solid two years away. 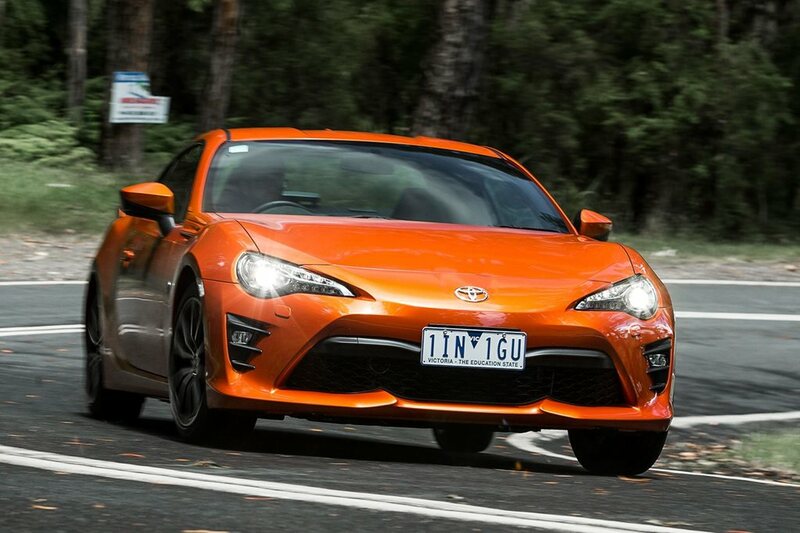 READ MORE Is the Toyota 86 doomed? Its sales performance in large territories like the United States, too, would still be a concern for Tokyo head office. While the UK official said that the 86 has been a “successful halo product” for the brand, the relative ‘orphan’ status of the 86/BRZ’s manufacturing method – running down a single bespoke line in Gunman, Japan – puts pressure on its economic viability, in an era where the world’s car companies are winding back on orphan platforms across the globe. The need to keep the 86/BRZ affordable – the local range currently starts at $31,440 for an 86 and $34,280 for a BRZ – also has a bearing on its future. Toyota runs a tight ship when it comes to manufacturing costs, and building a low-volume sports car away from the larger production lines is not a cheap exercise. Locally, Toyota says that the 86 is an important car for the brand, and that it will grace the range for some time to come. In 2018, Toyota sold 957 86s and Subaru moved 588 BRZs.